This document serves as a set of guidelines to inform decision making within VPSB Information Technology Services (ITS) as well as a guide for community members to better understand the support services provided by ITS. 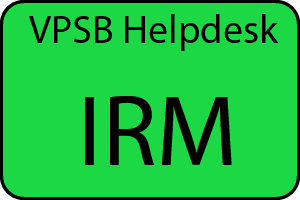 The document is limited in scope in that it sets official policy for providing help through the VPSB Help Desk & Support Center (ITSHD). By setting down these policies and channeling requests for help through ITSHD, we hope to provide better service, have an accurate profile of user training needs, and demonstrate the appropriate level of staff needed to handle the volume of requests. Through tracking the kinds of questions received at Support Center, ITS plans to develop and offer timely and appropriate training sessions as well as a knowledgebase for reference by our users. This agreement is intended to cover all VPSB departments, units, and programs. The Support Center acts as a central point of contact for all technical support, including hardware and software questions and consulting, installations, networking, network connection requests, and troubleshooting. Faculty and staff should submit requests online or if the issue is critical by calling 337-239-1675. Please note that due to staffing limitations phone support may not be immediately available at all times. Assistance will normally be available from 8:00 AM to 2:30 PM, Monday through Friday, except when the District is closed due to holidays, administrative closings, or inclement weather. Phone coverage may not be available at all times due to staffing limitations. Requests can be submitted online, 24 hours a day. IRM Number from Device or if no IRM number, the IRM from your computer. A clear and specific description of the problem or request, including information regarding any error messages you may have received, screen shots, time of event, user logged in at the time. Information Technology Services, using tracking software, will maintain records of incoming requests as they are received. If a user reaches a person by telephone, a Support Center staff member will try to determine the nature of the problem and refer the query to the appropriate specialist. Based on the “Priorities and Response Times” statement below the requests will be answered. However a Support Center staff member will make personal contact with the requestor within seven working days. The Support Center will use the following guidelines in prioritizing requests and will strive to begin working on the problem within the target timeframe. Actual response times may be shorter or longer depending on the volume of requests at any one time. Building or District-wide network or server outage. Security breach affecting the well-being of staff or students. Testing: Testing issues facing the whole district, a number of schools, or a whole school building. Support Center will contact technicians for immediate response. Incident that halts instruction/productivity where a functional workaround is not available. Initial response within 4 working hours. Incident may disrupt instruction/productivity where a functional workaround is available. Hardware or software upgrade requests. Changes to existing, working systems. Initial response within five working days. Initial response within ten working days. * Target Response Time is defined as the time between receipt of the call and the time than a Support Center member begins working on the problem. Due to the wide diversity of problems that can occur and the methods needed to resolve them, response time is NOT defined as the time between the receipt of a call and problem resolution. The target replacement cycle for district owned computers is 4 years. This includes all administrative, staff, faculty and student computers. Computer equipment (eg. iPads, iPods and document cameras) originally acquired through grant funding or direct departmental funds, will be replaced with suitable recycled systems and treated as secondary placement equipment, if additional grant money or departmental funding is available. Addition, transfer, or replacement of computer equipment within buildings must be requested through the appropriate building administrator or department head and is dependent upon funding availability. Equipment must remain in the classroom and school to which it was originally assigned. Requests to add new computing equipment to our existing inventory must be submitted to the Technology Administrator, through the appropriate building administrator or department director. These requests must explain where the funding for the request will come from. All approvals are contingent on an existing, approved, funding source. In an effort to improve support and keep costs down ITS selects computer configurations and models that will meet the computing needs of the average user for the term of the replacement cycle. ITS will upgrade components of the system as appropriate to keep it at a reasonable level of functionality for the term of the replacement cycle. ITS will not assist in installing, using, or troubleshooting any products not approved or provided by the district. ITS reserves the right to remove any unsupported software and/or hardware if it is suspected the software and/or hardware causes a recurring problem on a district-owned system that ITS supports. By clicking on this link and accessing the Helpdesk/IRM system, I agree that I have read and understand the policies outlined above.